1. Check the heating activation relay. 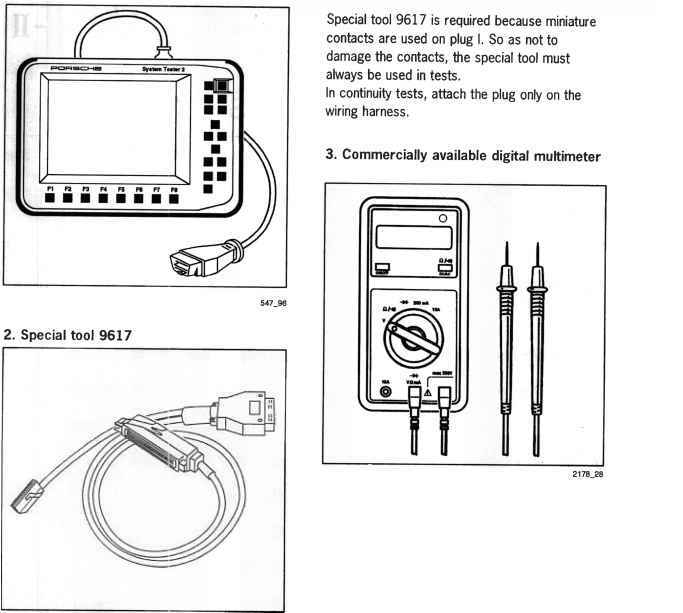 Battery positive voltage must be present at terminal 87 when the ignition is switched on. 2. Pull off connector C on the heating/air conditioning control. 3. Connect voltmeter to C 14 (plus) and ground. 4. Push connector C on the heating/air conditioning control. 6. Connect voltmeter to C 14 (plus) and C 16 (minus). Connect voltmeter to plus and pin 3 on the driver connector. Connect voltmeter to plus and pin 1 on the driver connector. Connect voltmeter to plus and pin 2 on the driver connector. A higher fan voltage can be caused only by a short to ground on the wires on pin 1 or pin 2 of the driver. 1. Pull off connector C on the heating/air conditioning control. 2. Pull off connector on the driver. 3. Connect ohmmeter to C 16 and ground. 4. Pull off connector on the fan motor. 5. Connect ohmmeter to driver connector pin 2 and ground. Replace the heating/air conditioning control. No control module fault stored. No fault on the supply voltage (5 Volt). 3. Connect voltmeter to sleeve side of pin 2 (minus) and pin 3 (plus). If 0 Volt is displayed, check wiring to the heating/air conditioning control A 12 and B 18 for continuity. Check wiring to the heating/air conditioning control B 18 for short to ground.